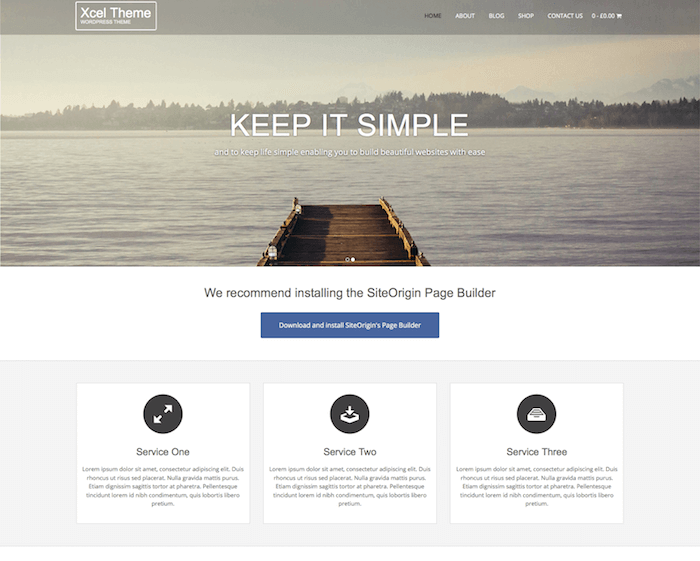 This theme is originally made with a one-page design, which offers simplicity and easier navigation for your visitors. When presenting your business to your audience, one-page design is ideal because it can instantly give your audience the big picture about your business. They will know about your business without having to click several pages on your website. Instead, they can simply scroll down on your page to know all about the things that you can offer to them. This type of design is also easier to manage and offer a better performance for your SEO campaign. Because of the responsive layout, the theme can adapt perfectly in various devices with various screen sizes. Whether your website visitors are using a laptop, a tablet, or a mobile phone to access your website, they can see your website in the best possible look on their device. 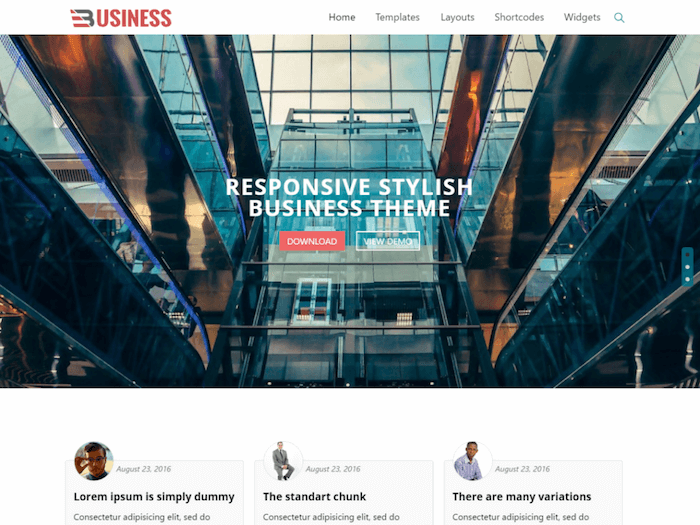 This theme is recognized by BootstrapZero to be one of the best responsive themes for WordPress. 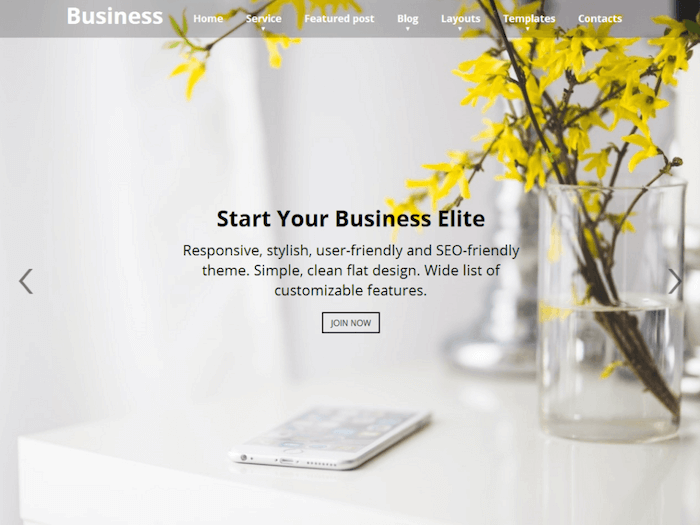 The customizable ribbon feature offered in this theme gives you the customization options that you need. With this ribbon, you can change various aspects of your theme, so that you can make it look exactly as you want it to look. In this way, you can present your business in the best possible way. Whether you need to change your background, send personal message to your visitors, or highlight certain parts of your page, you can do it with this customizable ribbon. 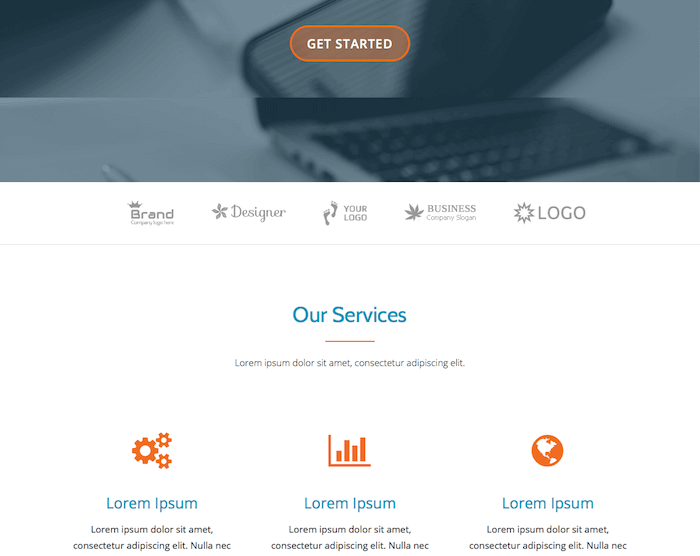 The parallax scrolling effect that is offered in this theme allows your visitors to scroll your website smoothly. This way, your business presentation will look more professional and interesting to read. When your audience is scrolling each page of your website, you can make certain elements of your page to float smoothly to correspond with the user's scrolling activity. It adds more beauty to your website presentation, as well as give a more professional look for your business at the same time.